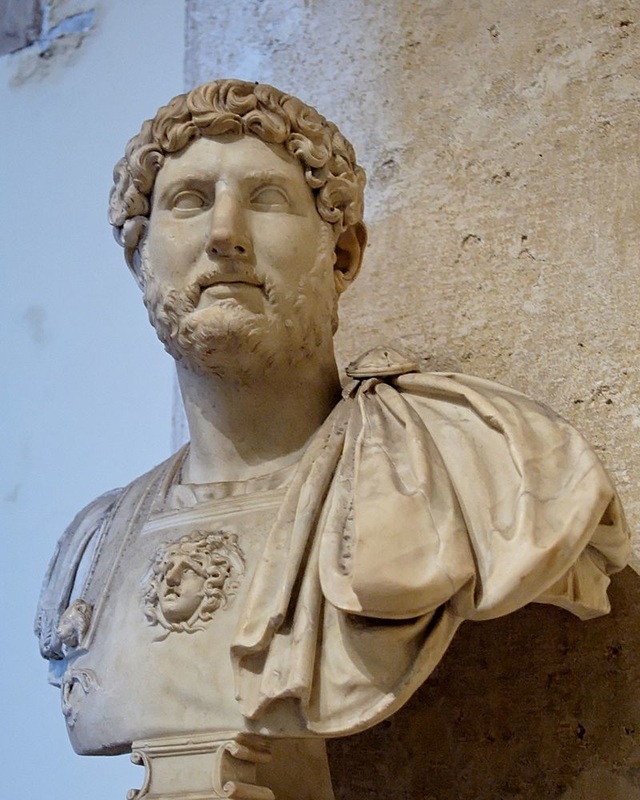 The Roman time period portrayed by our Living History club is generally of the 2nd century AD. 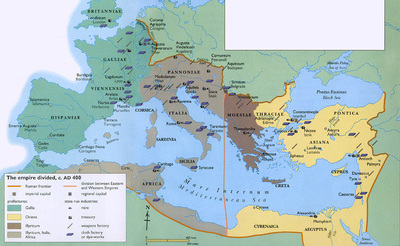 The Roman Empire reached its greatest extent in 117 AD under the emperor Trajan (98–117) with his victories over Parthia and Dacia. 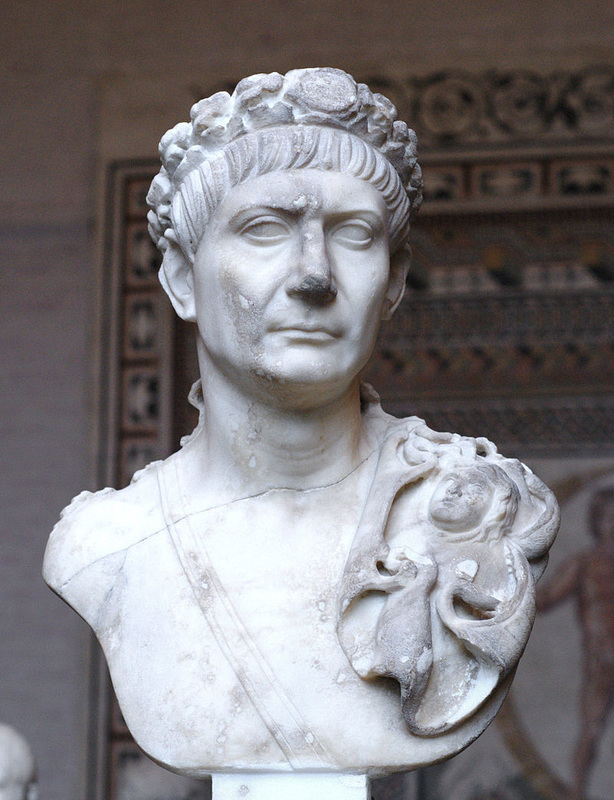 The Dacian War is depicted in carved relief on Trajan's Column in the Roman Forum. This Period of the Good Emperors had each emperor adopt their successors as the best man for the job, rather than by family dynastic inheritance. 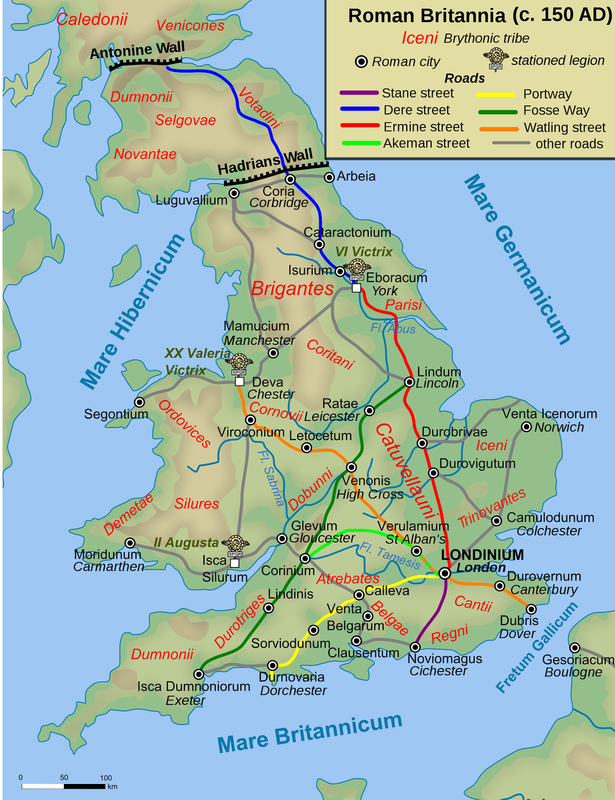 Trajan adopted the emperor Hadrian (117–138) who set the limits of empire by building Hadrian's Wall in northern Britannia, and strengthening the fortifications on the Rhine against the Germanic barbarians. 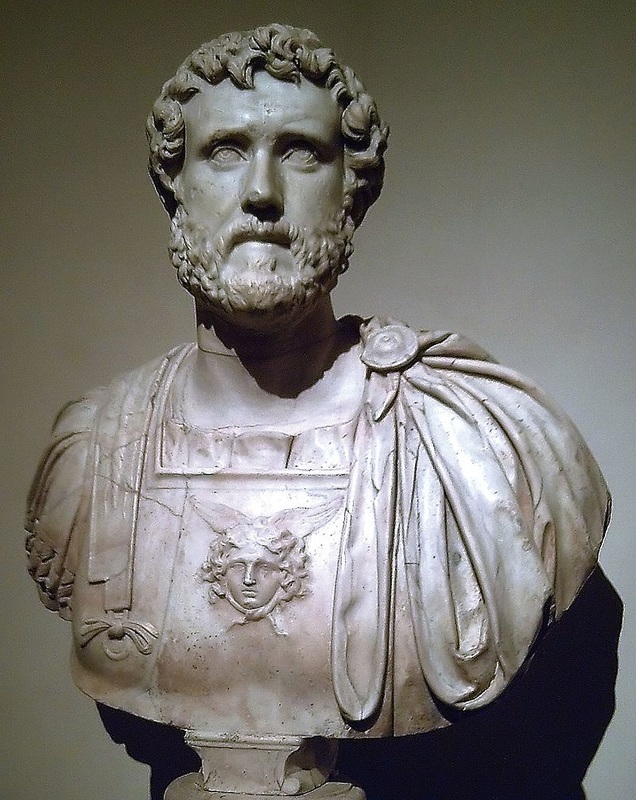 Hadrian toured extensively with his imperial entourage, and Hadrian's Villa at Tivoli was a fantastic architectural representation of all parts of the empire. 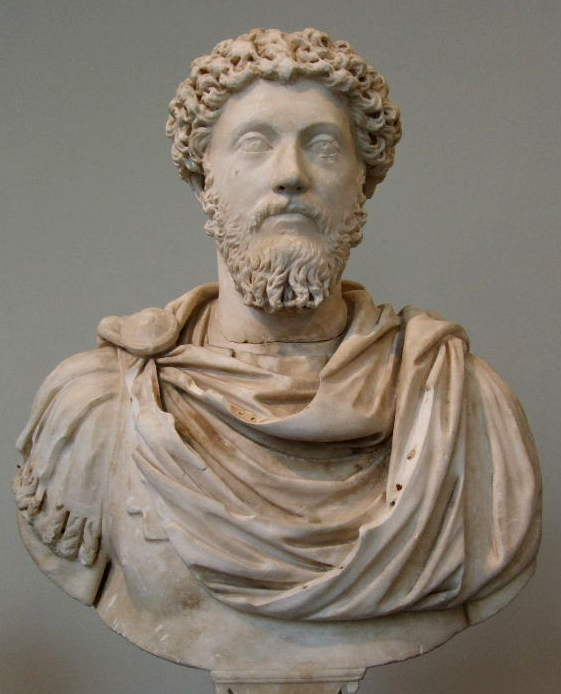 Marcus Aurelius (161–180) was the philosopher-emperor that wrote the Meditations. He fought wars against Parthia, and against the Marcomanni barbarians in Germania, as depicted in the Hollywood movie Gladiator. 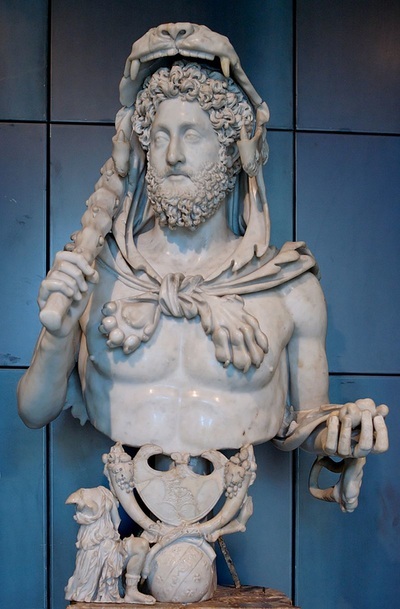 Marcus broke the policy of adoption and gave the throne to his violent son Commodus. The emperor Commodus (180–192) fought in the Roman arena as a gladiator, and fancied himself as Hercules (seen above depicted with the mythical lion-skin and club of Hercules). He was assassinated for his depravity, heralding civil war during the year of the Five Emperors in 193 AD. 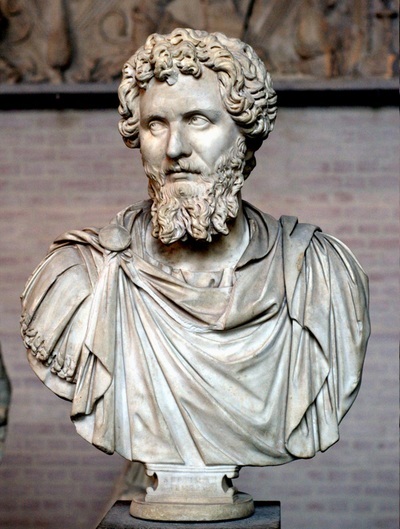 The victorious emperor Septimius Severus (193–211) reunified the empire. In 212, his son Caracalla granted Roman citizenship to the Empire's freeborn inhabitants in order to tax them all. The Severan dynasty expired in 235 AD, as the final lineage of the Principate founded by Augustus. 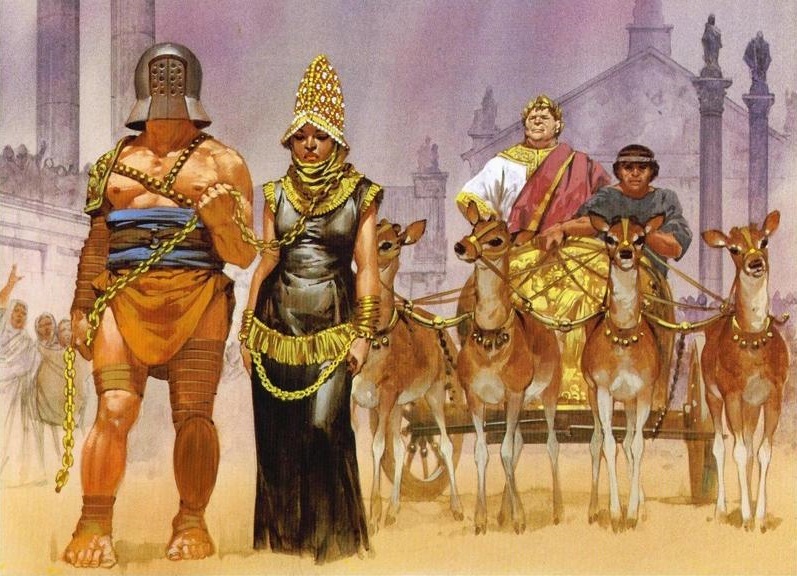 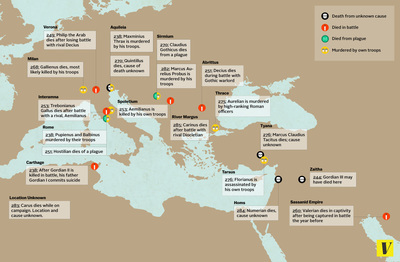 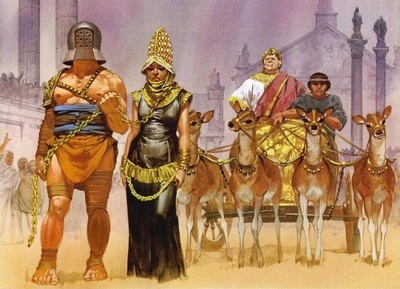 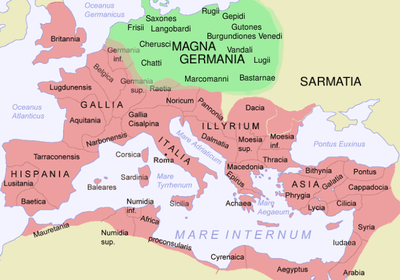 There followed the 50-year period of Military Anarchy (235–284) where the Roman Empire nearly collapsed under the combined pressures of invasion, civil war, plague, and economic depression. 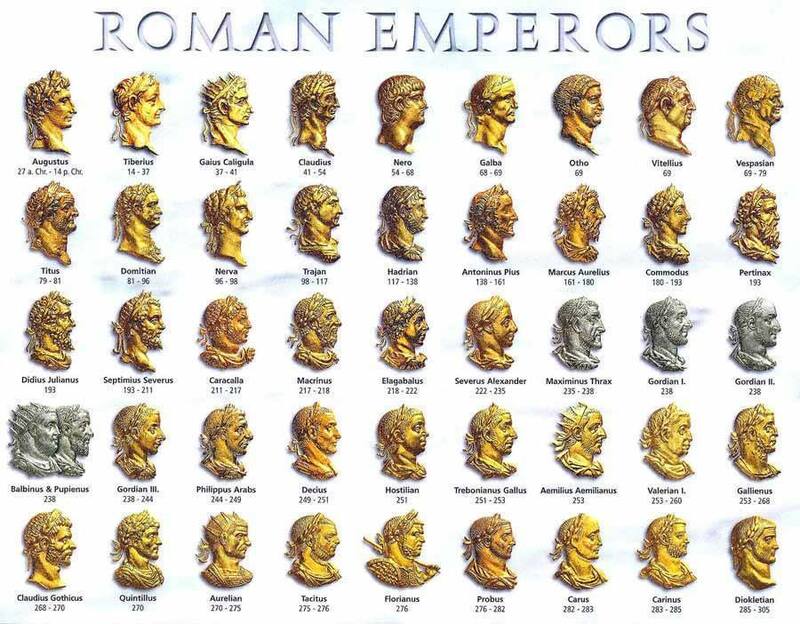 Over 26 different Roman generals ruled as emperors. 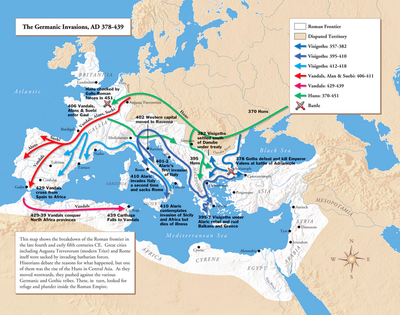 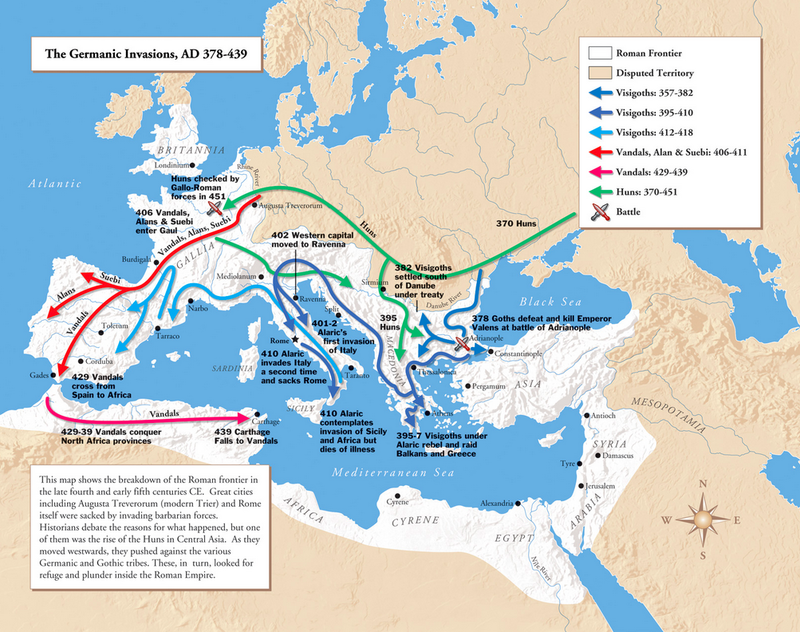 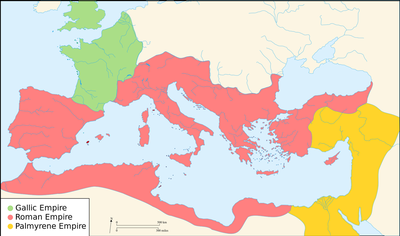 By 268 AD the empire had split into three: Central Rome, the western Gallic Empire (Gaul, Britannia and Hispania), and the eastern Palmyrene Empire (Syria and Egypt), all finally reunited by the emperor Aurelian (270–275) who defeated Queen Zenobia. The Crisis ended with the reforms of the emperor Diocletian in 284 AD that formed the four zones of the Tetrarchy ("Four-rulers"). 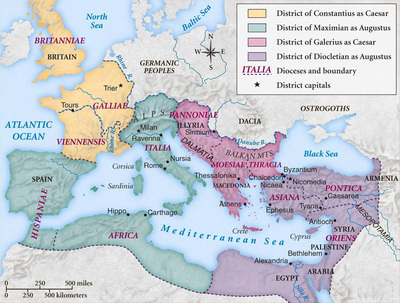 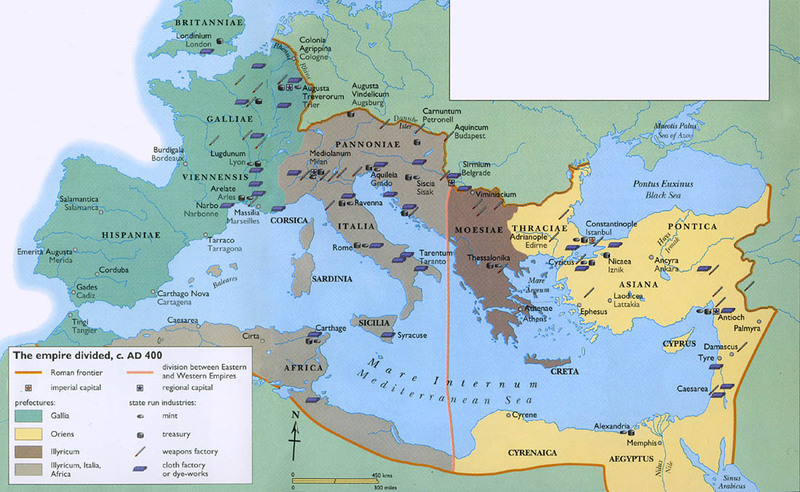 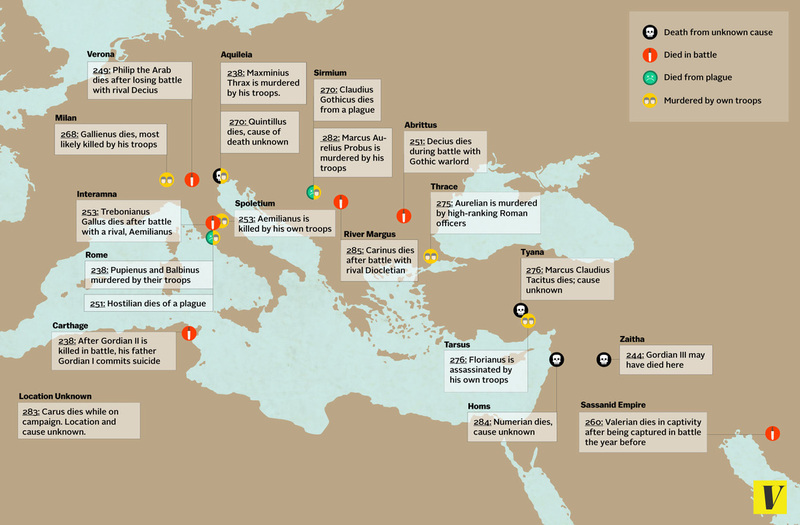 This led to the separation of the Western and Eastern Roman empires. The West collapsed in 476 AD, and the East in 1453 AD almost 1000 years later. 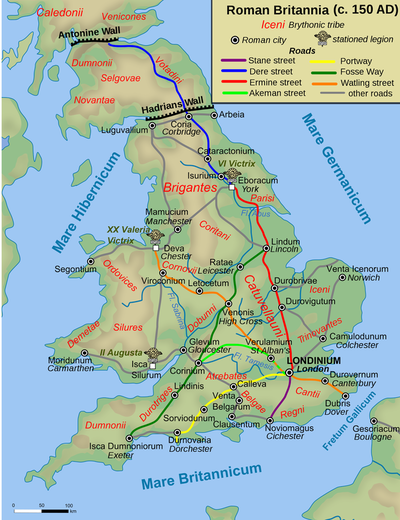 Roman time was dated as AVC "Ab Urbe Condita" (From the Foundation of the City) traditionally founded in 753 BC, so that this year of 2016 in Roman dating is 2769 AVC. The years were also dated by the names of the two annually elected consuls, such as "this wine was bottled in the consulship of Pompey and Crassus" or for our club this year is the "consulship of Jason and Dave." 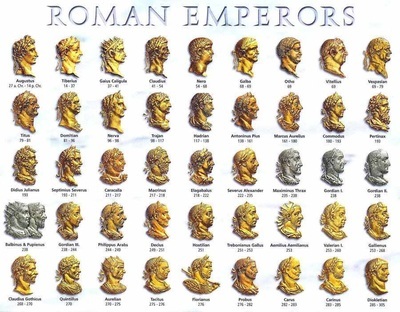 Under the empire the consuls were appointed by the emperor as ceremonial positions. Dating then became from the reign of the current emperor, so for our club we are in "The second year of the reign of the emperor Falco", our beloved John Nagels. 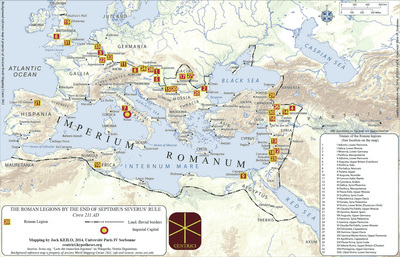 Video of ancient Rome explaining the layout and significance of the main buildings and features.